Founded in 1911, the once small Bach Mai Hospital has seen a growth in development over its 100 years history. Bach Mai Hospital (BMH) has now become a leading comprehensive general hospital with spacious facilities, synchronized modern equipments and qualified staffs. As such, these aspects enable BMH to fulfill every task assigned by the Ministry of Health, such as providing medical services at the highest level of the Vietnamese healthcare system, training, scientific research and etc. The expansion does not stop there as BMH has recently established a second branch for their multi-field medical facility. Located in the Ha Nam Province, this latest establishment has the capacity to hold up 1000 beds and a massive amount of 5000 patients per day. Since this is a new building to begin with, the premise has no system in placed to secure the compound. Hence, BMH decided to seek out our Vietnam reseller, Futech Vietnam for an implementation that could resolve this security issue. After reviewing our list of products, BMH made the decision to settle upon FingerTec for their operational needs. As such, the hospital selected FingerTec Ingressus series and i-Kadex for their comprehensive setup. The Ingressus series is a controller that supports access control, whereby users will have to verify their identities via the readers (fingerprint, card, password) installed. 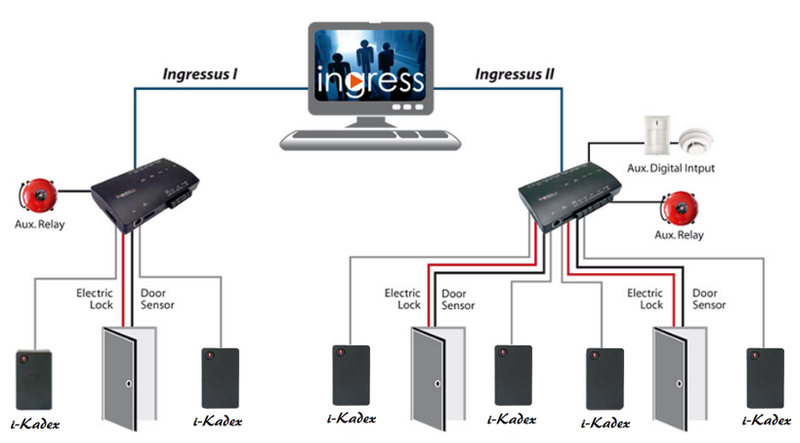 This is where FingerTec i-Kadex comes into action; the device is a slave reader that works with a master terminal such as the Ingressus series to create a complete IN-OUT access system along with card function. This configuration will allow BMH to have a more centralized approach as transaction records are saved into Ingressus’s in-built memory and sent to the bundled software for further processing. That said, Bach Mai Hospital has installed over 90 units of Ingressus I and 23 units of Ingressus II along with 141 units of i-Kadex for maintaining the access control of the building’s parking compound. Hence, the hospital is very satisfied with the features provided by FingerTec products and is looking forward to our future line of products. At FingerTec, we produce sophisticated Biometric Products that are affordable and practical for the Workforce Management and Security Industries. Find out more by clicking on the link below.